Hotel J is a standard hotel located in the main bazaar area of Port Blair. 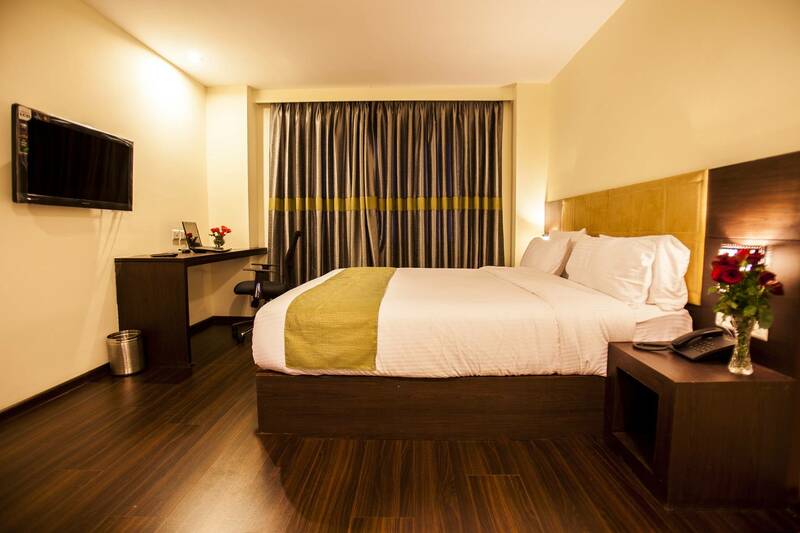 The hotel has a contemporary modern design with spacious rooms that are equally clean and comfortable. All rooms are well furnished with Queen Sized beds with soft and fluffy mattresses, perfect for a great sleep after a tiring day. Hotel staff and reception are friendly and eager to help, which is something rare if I should say. The hotel offers complimentary Continental Meal Plan on every room booked and offers a buffet type meal plan for people who’d like to eat lunch and dinner at the hotel itself. These are the standard rooms available at J hotel with a luxury feel to them. 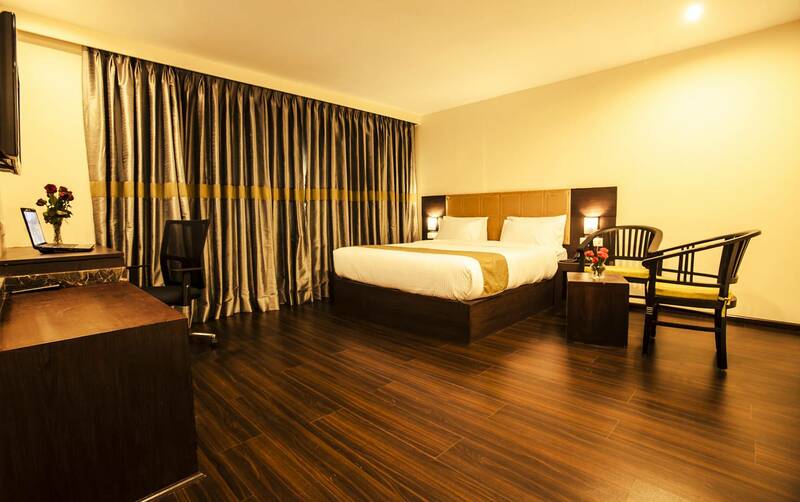 The rooms are spacious with complete wooden flooring which feels great to walk on, without Shoes. The room also has a large twin bed with soft type mattress, an LCD TV, Coffee Maker, Mini Bar, WiFi, toiletries and a fairly large bathroom. A decent choice to go for. This is the luxury room of this hotel. Although the design is similar to the deluxe rooms, these rooms are surprisingly large and give you a feeling of openness. The room also offers priority service, better WiFi and good sleeping arrangements. Go for it, if you like this hotel and need some extra space for Yourself. This is one of the most fascinating things about the J Hotel. The multi-cuisine restaurant is located at the top of the roof, in an open area, with amazing lighting and great ambiance which is simply perfect for a romantic dinner. The Restaurant serves amazing continental specialties for people who love it. After dinner, you can sit back and relax at the open-air lounge area, placed next to the restaurant. 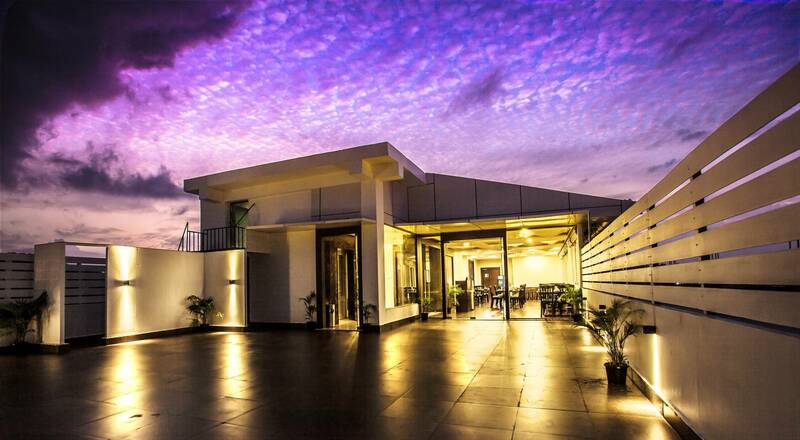 The courtyard area offers an amazing view of Port Blair city, with a great backdrop during the sunset and late evening. J Hotel boasts a well-designed banquet hall, large enough to accommodate 50 people easily. 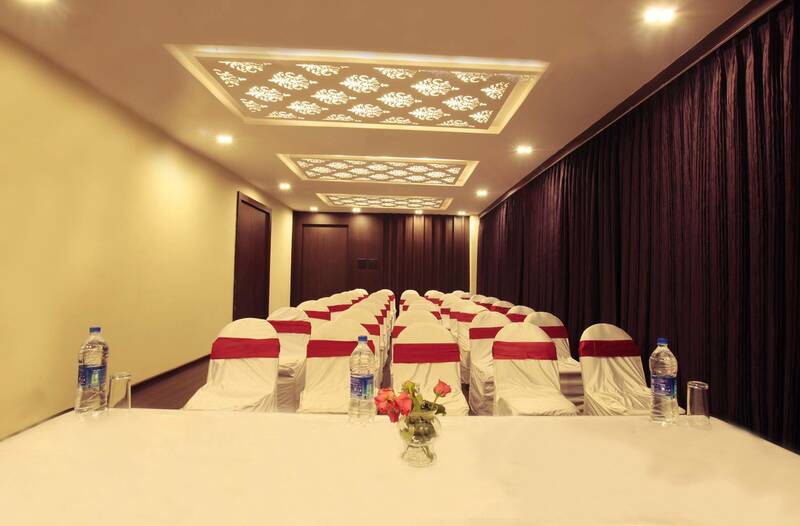 The hall is completed with all the necessary pieces of equipment Including separate WiFi, DVD Player, LCD Projector etc needed for formal events like conferences & meetings. The hall is also perfectly suitable for casual events like social events, birthday parties etc. Hotel J is located at the heart of Port Blair City with lots of amazing places to visit nearby. The hotel is also close to several jetties, which is really great for people who are planning some interisland travel. Although the hotel is located at 6 KM distance from the Airport, they offer quick and reliable Shuttle service for extra: 400/-, so you can reach the airport in time. Overall a pretty decent place to stay. For maximum discounts, you can contact the hotel directly by filling the form on the right side. The management will get in touch with you in under 15 Minutes.